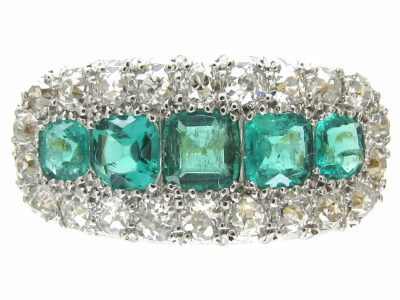 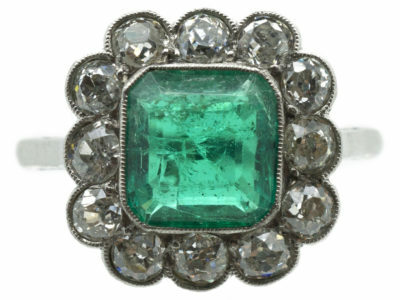 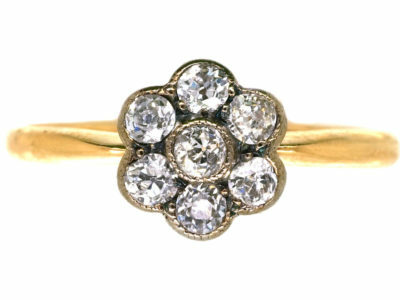 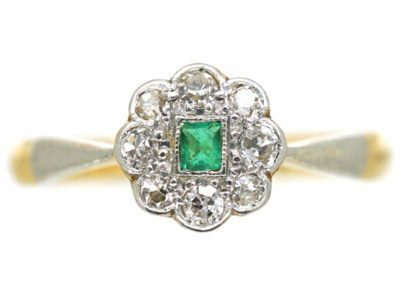 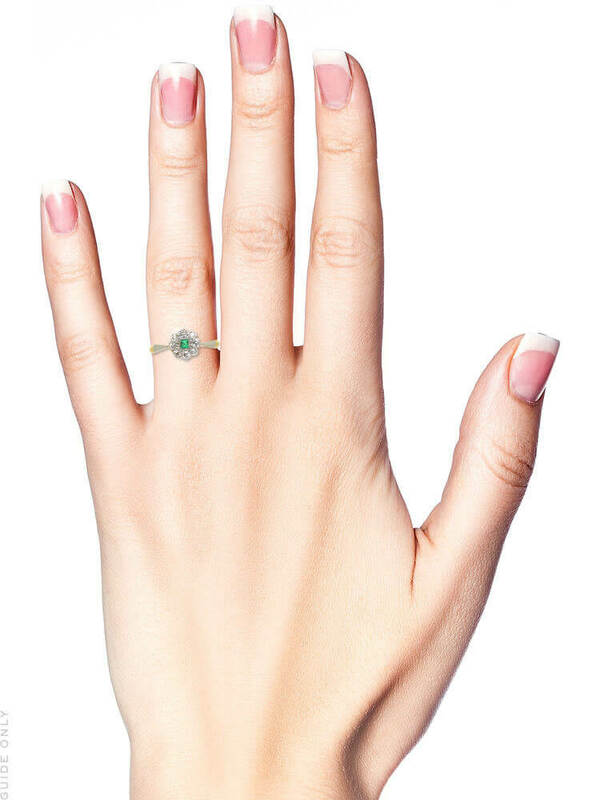 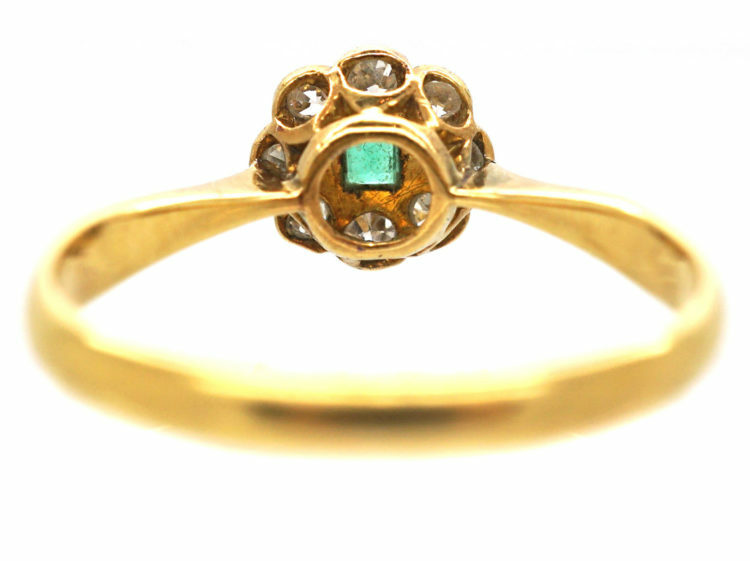 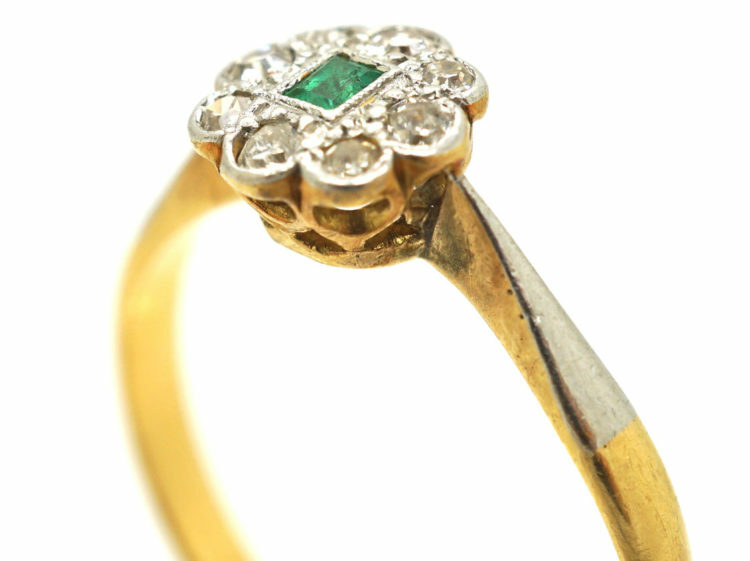 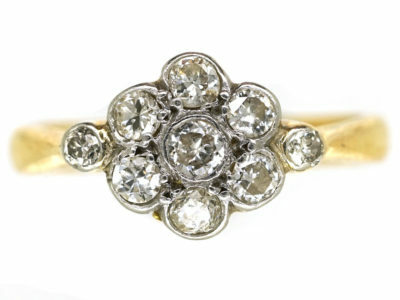 This is a really pretty small cluster ring with a central rectangular emerald and eight small diamonds around it. 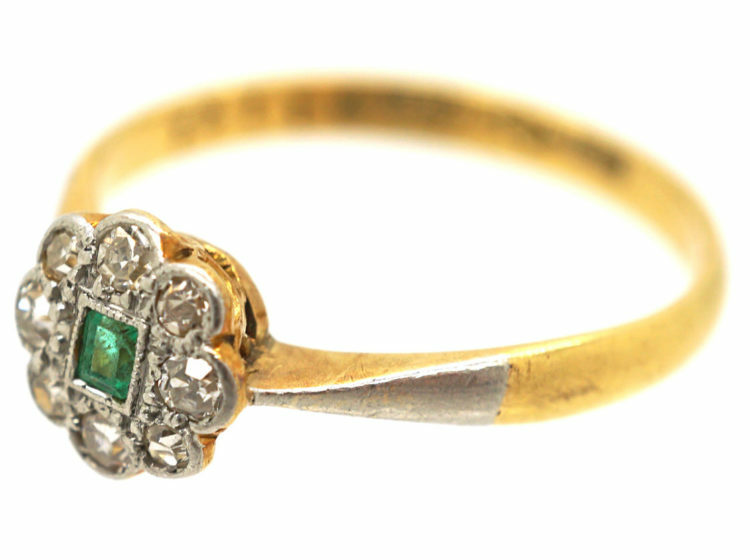 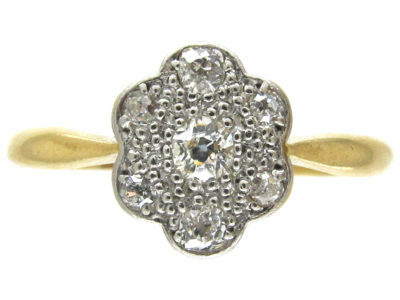 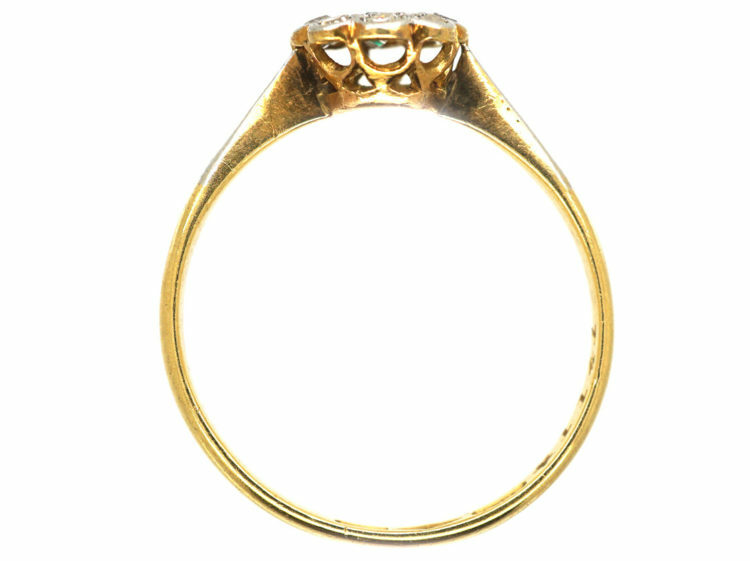 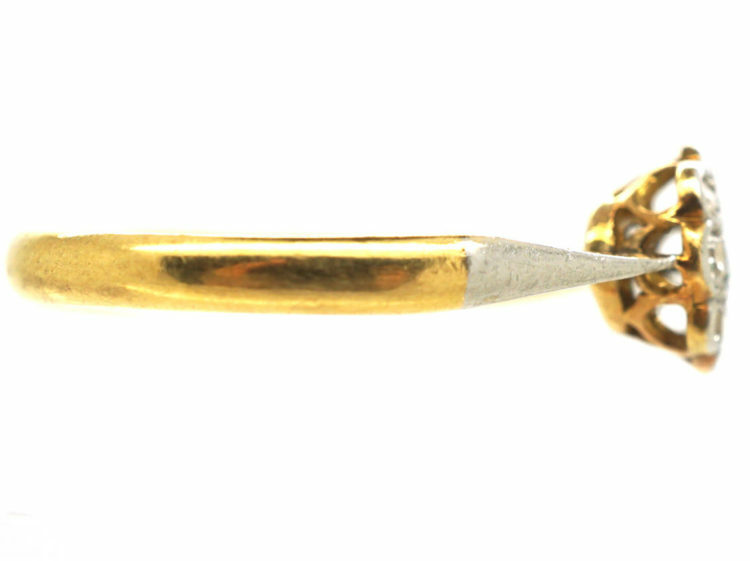 It is 18ct gold with a platinum top and was made circa 1900-1910. 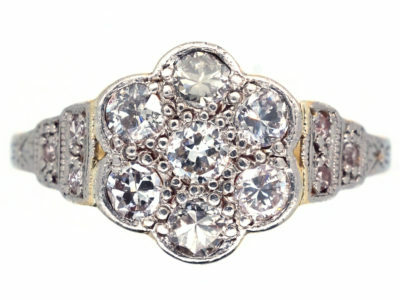 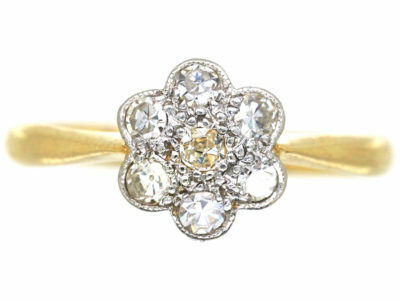 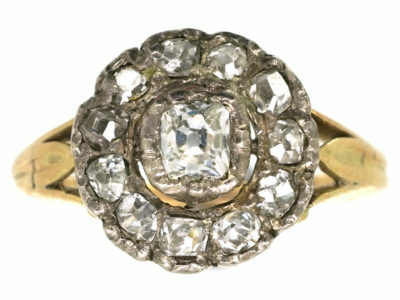 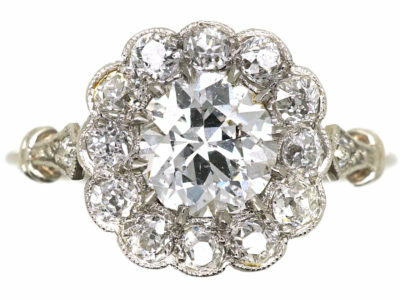 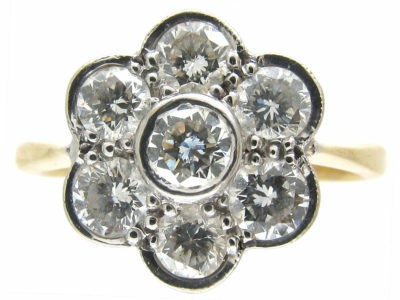 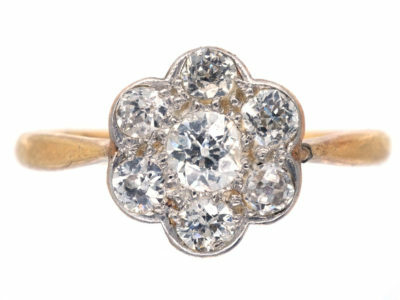 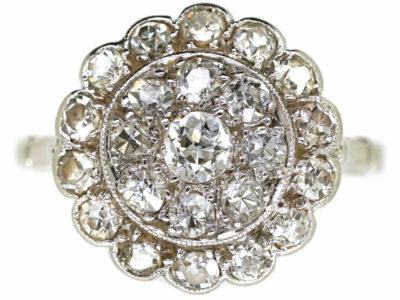 It would make a really pretty engagement ring.